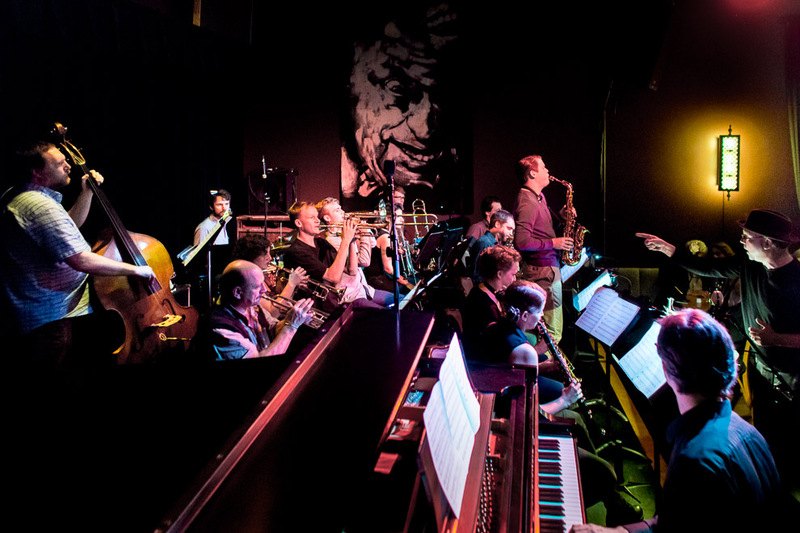 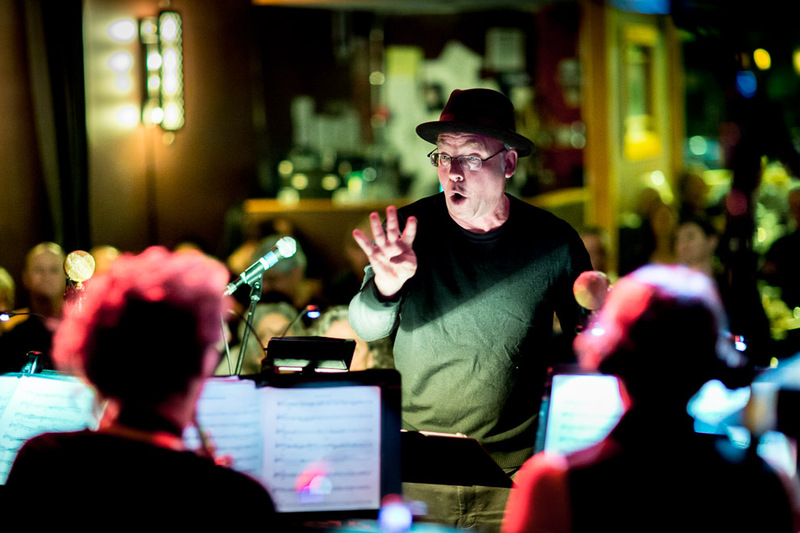 After The Westerlies opened up at the Royal Room las Friday night, Wayne Horvitz and the Royal Room Collective Music Ensemble played a great set. 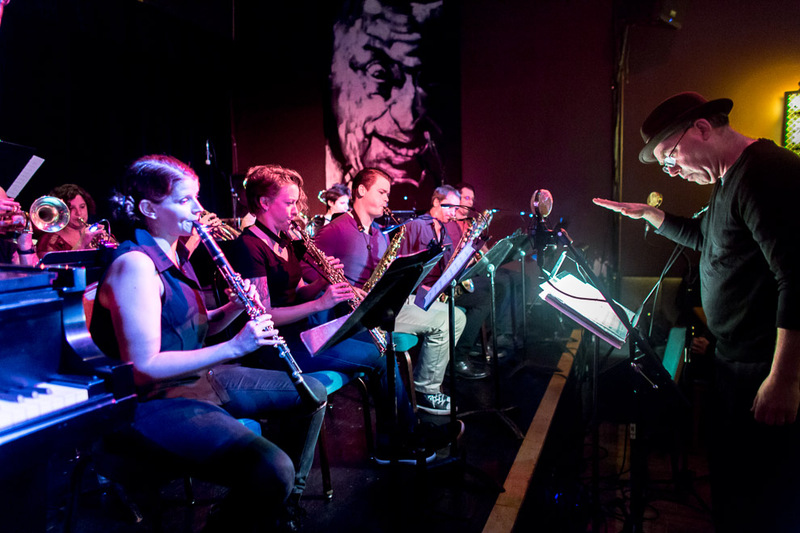 In May, Horvitz and the Royal Room Collective Music Ensemble held a week-long residency at the Stone – the East Village nonprofit artist space founded by John Zorn. 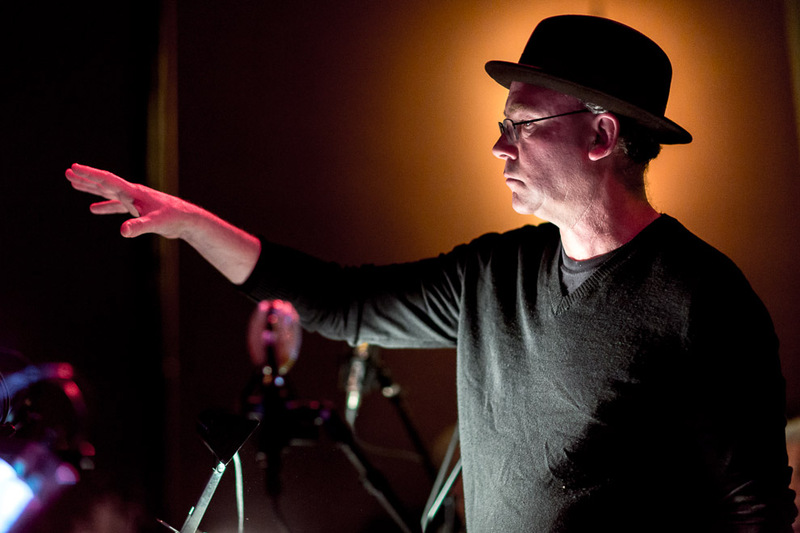 In conjunction with the residency, the ensemble released a limited-edition live Royal Room recording of their performances of Horvitz’s compositions, spontaneously arranged by his musical cues and gestures. 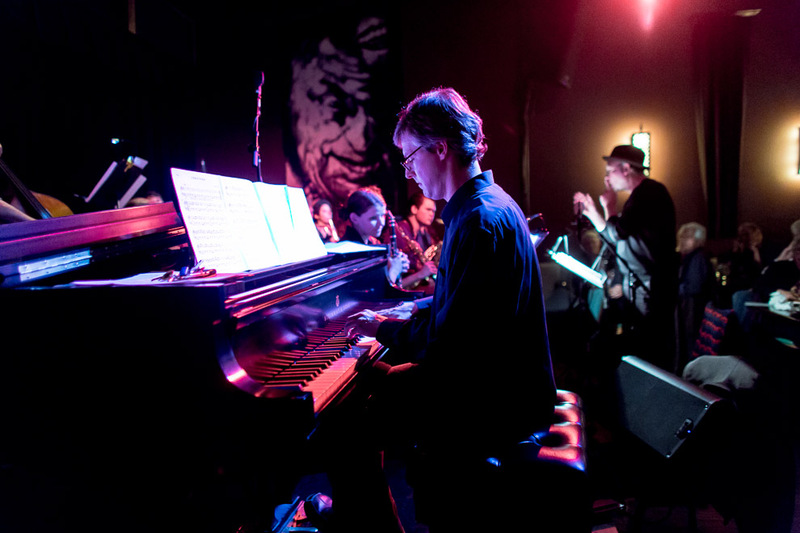 The group is directed by eminent composer, pianist and electronic musician Horvitz, with Beth Fleenor (clarinet), Kate Olson (saxophone), Jacob Zimmerman (saxophone), Craig Flory (clarinet, saxophone), Samantha Boshnack (trumpet), Al Keith (trumpet), Steve O’Brien (trumpet), Naomi Siegel (trombone), Jacob Herring (trombone), Geoff Harper (bass) and Eric Eagle (drums).